The Bamboo Project is an amazing piece by 3d artist Ashish Dani using bamboo models from XfrogPlants Asia. I have heard good things about xfrog trees and wanted to try them out. For this I used the bamboo trees from their “Asia” collection as a base. I then proceeded with some tweaking (required for scene) which I did using the XFrog 3.5 software. I used a lot of my own textures combined with the ones Xfrog provides and connected them to VRay Shaders. 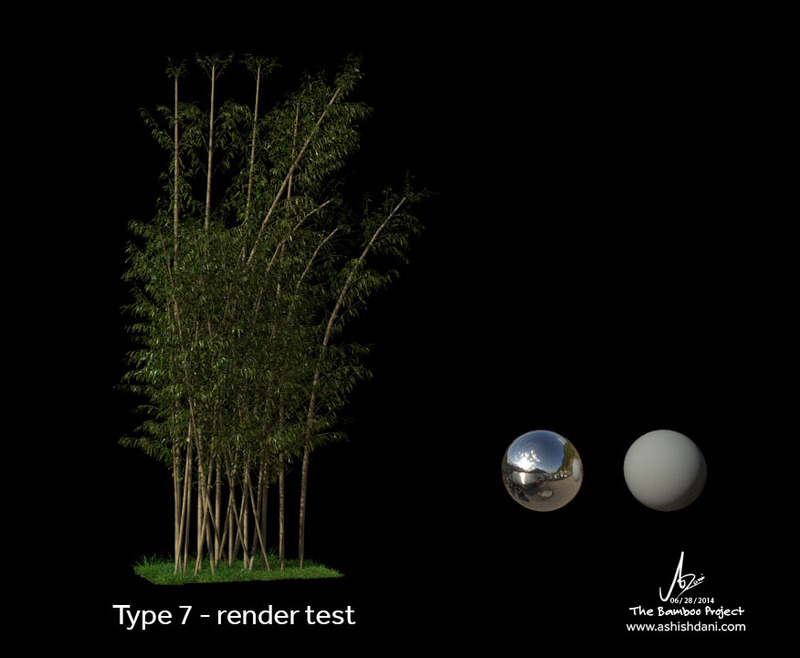 All the leaves are 2 sided Vray materials. I went through other tree and plant libraries and did some fact searching as to the type of plant species which grow alongside in bamboo groves and repeated the modification process on them. The ground was a super quick sculpt and textured in Mari. Once all the elements were ready, I used a few different scattering and placement techniques to build my scene. 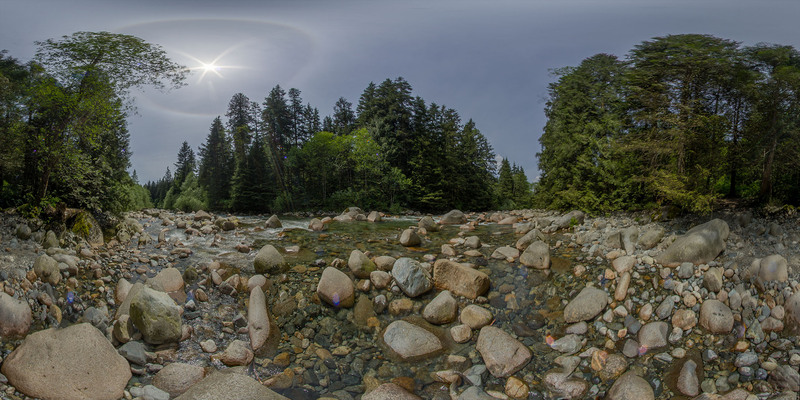 Lighting was simple by using a HDRi which I shot at Lynn Headwaters Park with some gobos helping the mood. To keep the rendering process quick, I added in the atmosphere in Nuke. 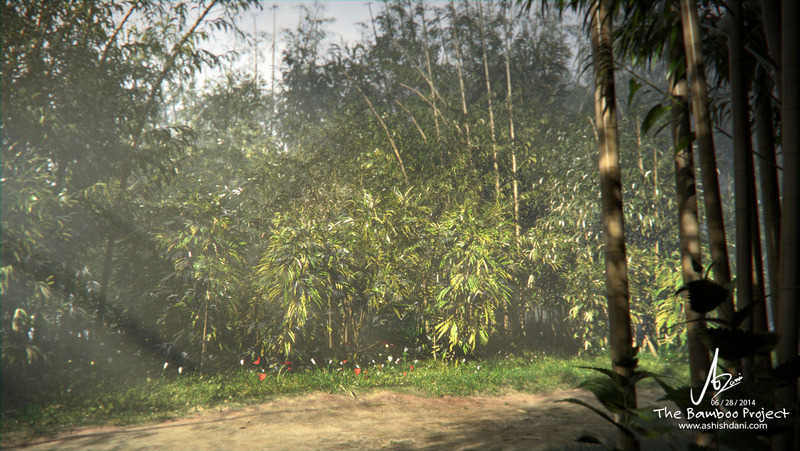 In addition to XfrogPlants Asia, Ashish also used Xfrog 3.5, Maya, Vray, Mari, Nuke and Photoshop. 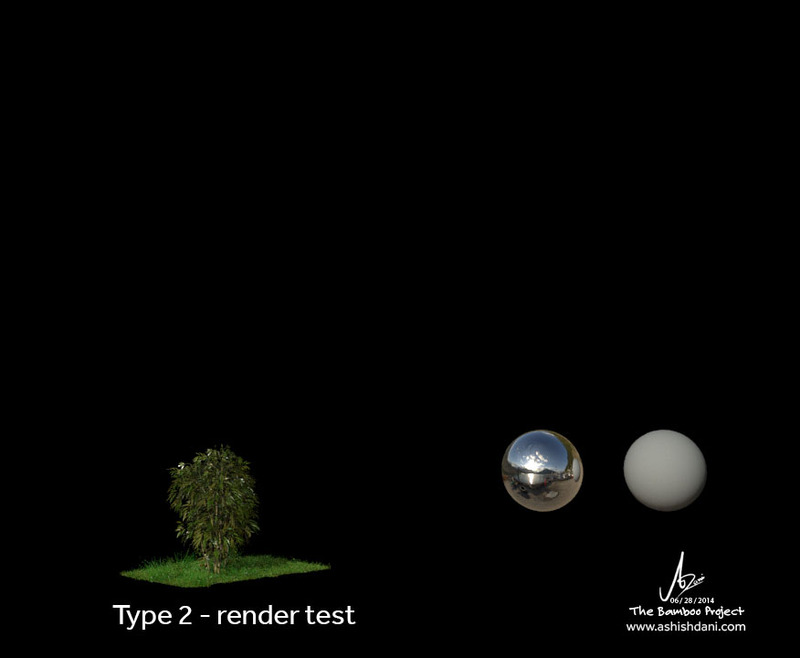 See the final video, then a breakdown of the process showing 3D geometry, render passes and atmosphere effects. 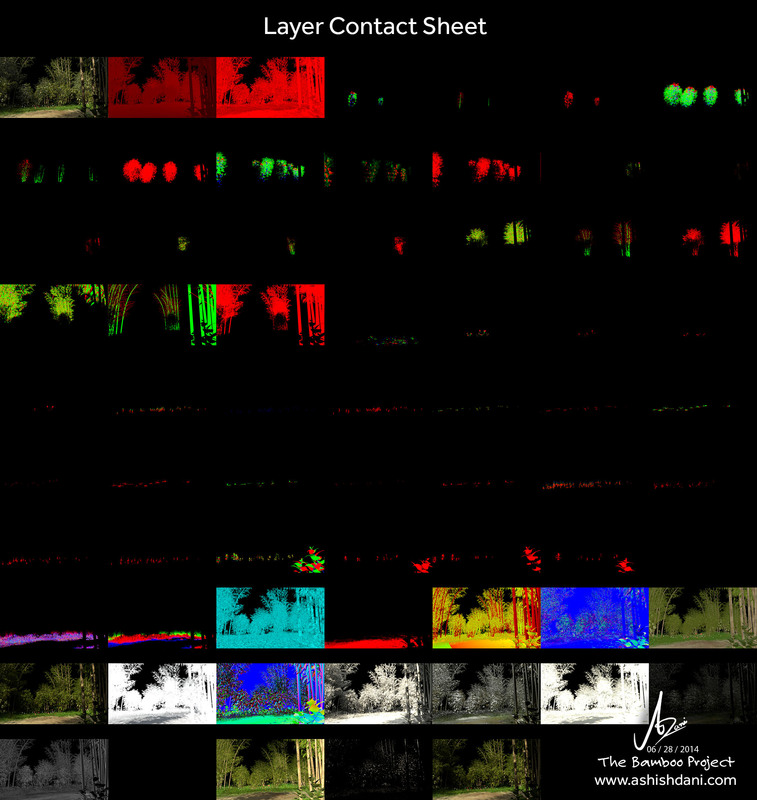 A breakdown of the multimatte elements setup for the Bamboo Project. This entry was posted on Sunday, July 20th, 2014 at 5:19 am	and is filed under Customer Renders. You can follow any responses to this entry through the RSS 2.0 feed. You can leave a response, or trackback from your own site.